Light therapy, also called phototherapy or bright light therapy, is a natural depression remedy that uses exposure to artificial light to treat different types of depression.. While there is an abundance of research that has found light therapy to be effective in treating seasonal affective disorder (SAD), it has also been helpful in treating bipolar disorder and postpartum depression. I have found that it frequently helps other type of depression as well because they most likely have a seasonal component. 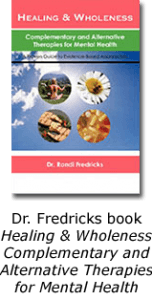 Light therapy incorporates the use of specialty designed light boxes emit full-spectrum light that replicates the composition to normal sunlight. Whatever condition is being treated, patients sit close to the light box with their eyes open while not looking directly at the light. The person can do a number of activities while sitting in front of the light box, including reading, writing or eating. When using light therapy, the patient receives daily exposure to the light box at the same time everyday for the same duration of time. The length of treatment each day varies depending on a number of things, including the type of depression being treated. For example in the treatment of SAD, the time treatment time is around 30 minutes a day during fall and winter. Additionally, people with SAD tend to get the most benefits when they sit in front of the light boxes upon waking each. Whatever condition is being treated, patients sit close to the light box with their eyes open while not looking directly at the light. Avoiding antidepressant medications while pregnant or breast-feeding. You also may be able to manage side effects by reducing treatment time, moving farther from your light box, taking breaks during long sessions or changing the time of day you use light therapy. Light therapy probably won’t cure depression by itself and traditional psychotherapy is recommended. 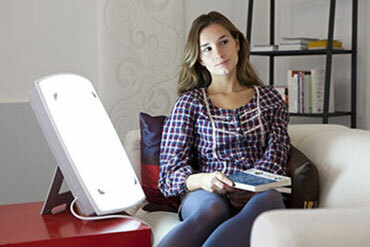 Light therapy is intended to ease symptoms, increase energy, and improve mood and relaxation. 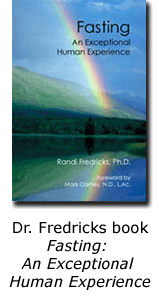 Additionally, if your symptoms don’t improve enough with psychotherapy and light therapy, you may need additional treatment, such as antidepressants.